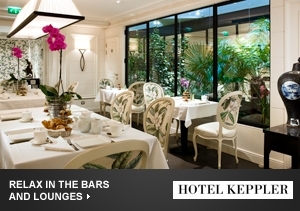 Hotel Keppler is located in romantic central Paris, only two blocks from the busy roundabout at The Avenue des Champs-Élysées. 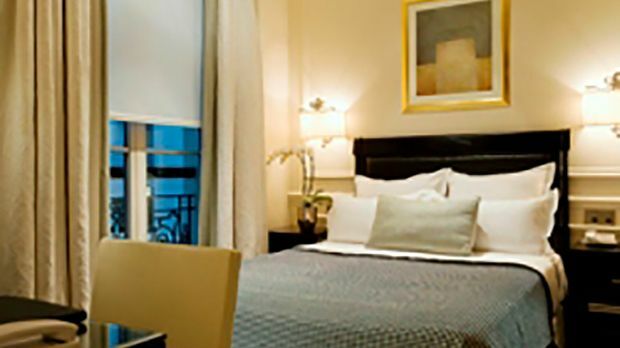 The hotel is a 30-minute taxi ride from Charles de Gaulle International Airport. 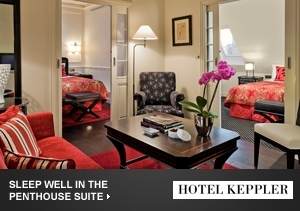 A visual feast of vibrant decor with an enviable view of the Eiffel Tower, Hotel Keppler is a gorgeous boutique in the center of romantic Paris. 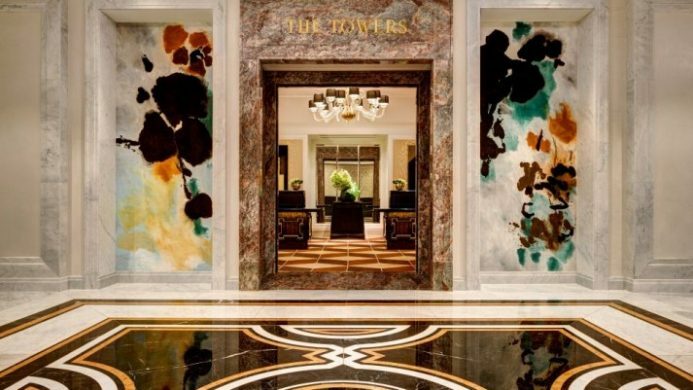 The hotel flaunts its association with award-winning designer Pierre-Yves Rochon with 39 luxurious guestrooms featuring vibrantly-colored furniture in plush fuschias and wild animal prints that contrast with striking black-and-white accents. 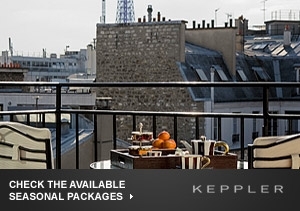 And, best of all, you can bring your best friend on your Parisian adventure: Hotel Keppler welcomes pets. 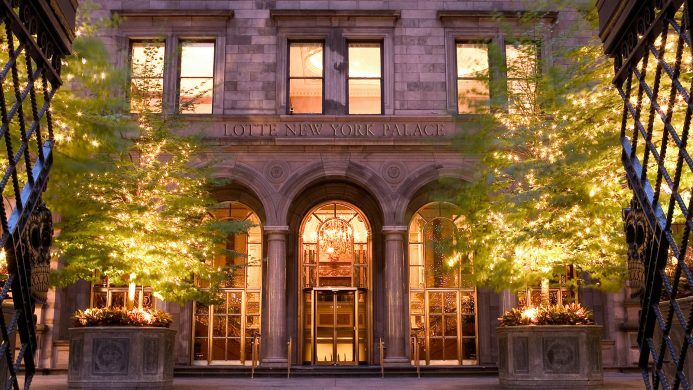 A walk with Sparky yields many close-by creature comforts: dine at the restaurants on the nearby Champ D'Elysees, and then do a little high-end shopping along the light-lined boulevard. Or meander along the two blocks to The Arc de Triomphe for some family photos. Need a little exercise? 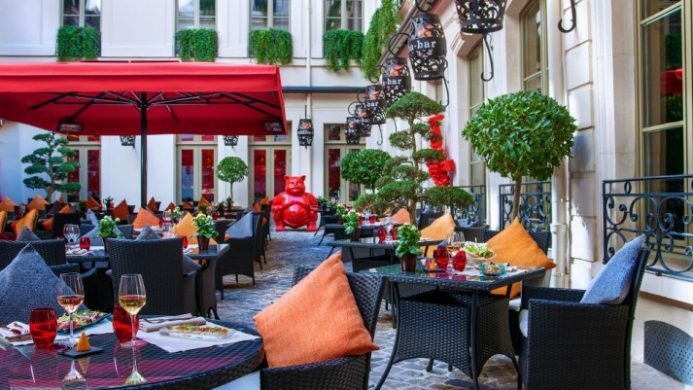 The hotel is a 20-minute stroll from pretty Parc de Monceau with its lush greenery and historic, quirky Freemason statuary. 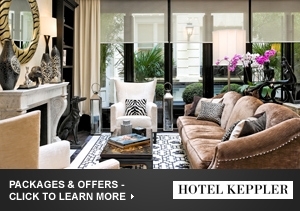 Send an availability request with your requested dates to the Hotel Keppler. These peaceful rooms facing the extraordinary french verriere are suffused with a feeling of quiet restfulness and true comfort. Classic rooms have a comfortable double bed and a modern bathroom with oversized shower and rainforest showerhead. 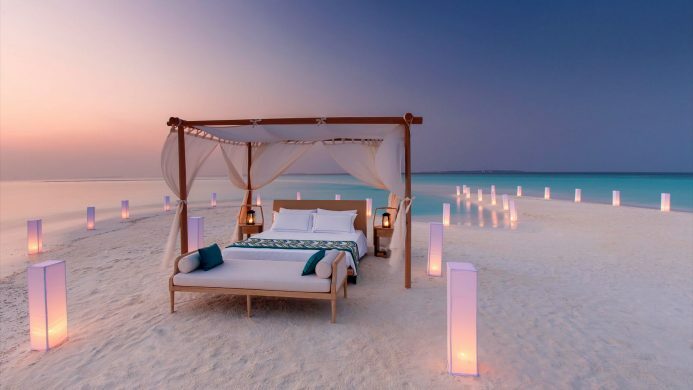 Featuring a Queen bed, custom-designed furniture, a black leather closet and luxurious bathroom. Executive Rooms feature a King or Twin beds, small living area, bathroom and TV. 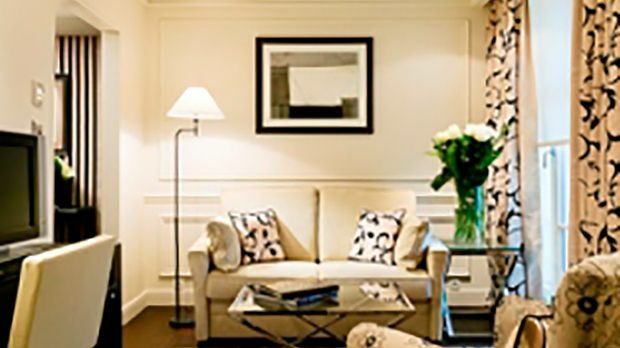 Featuring a balcony overlooking the Eiffel Tower, these suites contain dark wood flooring, Turkish rugs, molded ceilings and modern custom-designed furniture. This exclusive suite features a cozy living room, two outstanding bedrooms, large bathrooms featuring a bath tub and oversized shower.